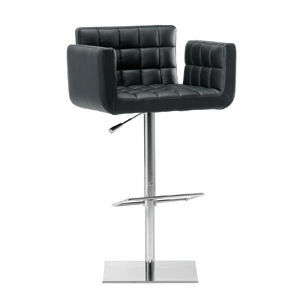 Height adjustable stool. Satin stainless steel base. Chrome post. Polyurethane foam upholstered with fabric or leather.